Knights Plumbing has been serving the city of Santa Ana for decades with plumbing expertise, servicing both residential and commercial properties. Our certified and bonded plumbers are the best in the business, bringing superior craftsmanship, expert knowledge, and unprecedented experience to every job. 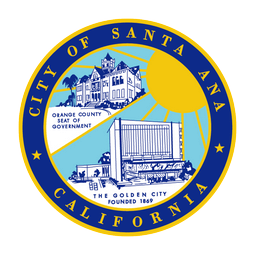 We take great pride in taking care of all our Santa Ana property owners, providing exceptional customer service with our in-house plumbing technicians. Regardless of the situation, from emergencies to schedule appointments, Knights Plumbing is ready 24 hours a day, 7 days a week, 365 days a year. We also offer flat-rate pricing, making sure that you are paying for what you were quoted on, with no hidden charges or fees. Guaranteed. No Second Guessing Here. Flat Rate Pricing for your Convenience. Residents in Santa Ana are happy to know that no matter how big the job is, whether it’s repairs, installations, or anything related to plumbing, we offer free estimates and flat rate pricing, meaning you as the home or property owner, will have an upfront and fair price to make an informed decision if Knights Plumbing is right for you. 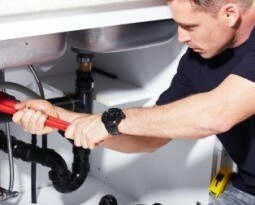 Our certified and professional in-house plumbers bring decades of experience to every home or office we walk into. 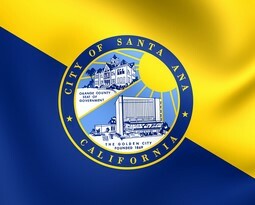 Here are some of the services we offer to all Santa Ana residences. Don’t let a leaky pipe or a clogged drain turn into disaster. Fixing a water pipe leak or a clogged drain immediately can be the difference between a quick fix or it can turn into a plumbing and financial nightmare overnight. Knights Plumbing Emergency service will be at your Santa Ana location to respond to your dire situation. Our trained plumbers will diagnose the plumbing issue, give you a flat-rate price, and get the job done professionally, the first time. Don’t let clogged or backed drain pipes lead to major problems down the road. Untreated drains or sewer lines can lead to foul smells in your home and cause damage to your pipe work. The experts at Knights Plumbing use modern techniques to inspect your pipes using video cameras to determine the location of your clogged drains. Once we have pinpointed the location of the clog, Knights Plumbing will use industry standard hydro-jet equipment to shoot high pressure water through your drain pipes, enabling us to clean and clear any debris that is getting in the way. There are a few signs that your home tells you when it needs repiping repair. One of the earliest signs comes from the taste of the water that comes from different outlets within your home. You’ll experience a metallic taste, which indicates that your water pipes might be galvanized. Another way of knowing if your pipes have been galvanized is the amount of low water pressure your home has. At Knights Plumbing, our skilled plumbers will come to your Santa Ana home or office to inspect your pipes and give you a flat rate price on the cost of repiping your water lines. Houses in Santa Ana were built on a concrete slab. Overtime, broken or damaged water pipelines leak and rise to the surface of your home’s foundation, which can turn into a financial crisis with a higher water bill and lowered property value. If you are experiencing leaks on your floor, foundation, or walls, then you have a slab leak problem. Knights Plumbing utilizes high tech leak detection equipment to accurately pinpoint the source of the water leak and start repiping or repairing the damaged pipes. Don’t wait til the last minute to call Knights Plumbing to come to fix your hot water heater. Our trained specialists have decades of experience in repairing or replacing today’s popular water heaters, electric water heaters, and tankless water heaters. Our 24 hour emergency service means we will respond to your call within the hour, and be at your residence to give you a flat rate price. Whether you live by the Santa Ana Community College or the Bowers Cultural Museum, Knights Plumbing will respond to your plumbing emergencies asap. Home or office, our certified and trained technicians can handle any job. Let Knights Plumbing save the day so you can go back to what’s important to you. 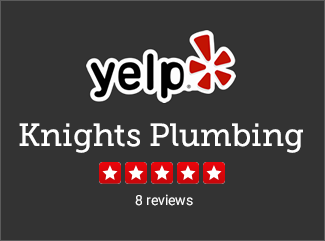 At Knights Plumbing, our Santa Ana customers are the core of our business. We guarantee that only the best plumbers will show up at your doorstep. We will do everything in our power to make sure that you are 100% satisfied with our work or we will do everything to make things right. We stand behind all our plumbers and take tremendous pride in our work, providing only the highest caliber of work for every job we do.